Ok, so if you haven’t heard of the Larch Valley hike, it needs to go on your bucket list.. right now. Every year in September, a few parts of Banff National Park transform from green to an incredible gold colour. Rare Larch Pine trees start to change colour and transform whole valleys into a burst of colour. 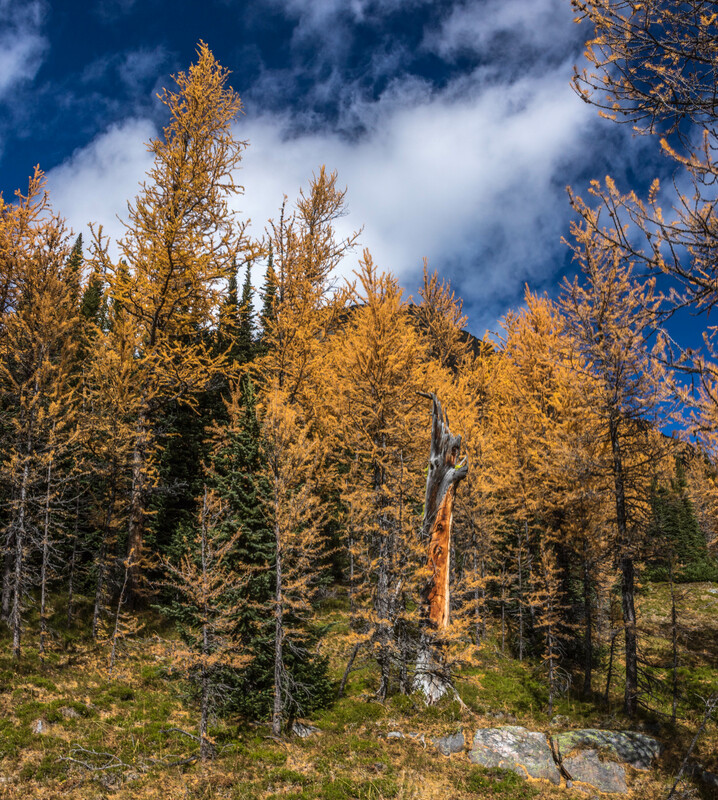 This year, it was my turn to find out what “Larch madness” really meant, and we decided to check out the most famous Larch spot of all… “Larch Valley”. I’ve been to Moraine Lake more times than I can count, but I’d never taken the quick hike up to Larch Valley. I’d googled pictures, but I had NO idea what I was missing. You can’t see the valley from the Moraine Lake car park, and it’s only when you’re literally standing in the valley that you’ll suddenly be hit by the incredible colours. The hike is an easy 1-2 hours, depending on your ability, but there is a lot of elevation gain in a short amount of time. Be prepared for crowds like you’ve never seen! 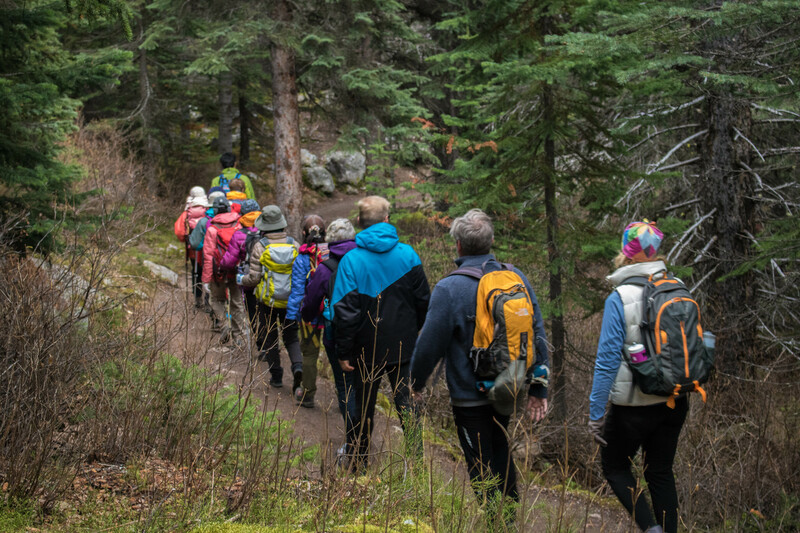 The Larch Valley hike is really something special that everyone should do once, and it’s worth battling through the crowds. The whole valley is absolutely breathtaking and can easily be seen in an afternoon. What’s more, if you’re looking for a more challenging hike, you can continue on to sentinel pass and make a day of it! I could try and describe the valley more, but as they say, ‘a picture’s worth a thousand words’! Looking for other great hikes in the Moraine Lake area? Check out 5 great hikes at Moraine Lake. Looking for other Larch hikes in the region? 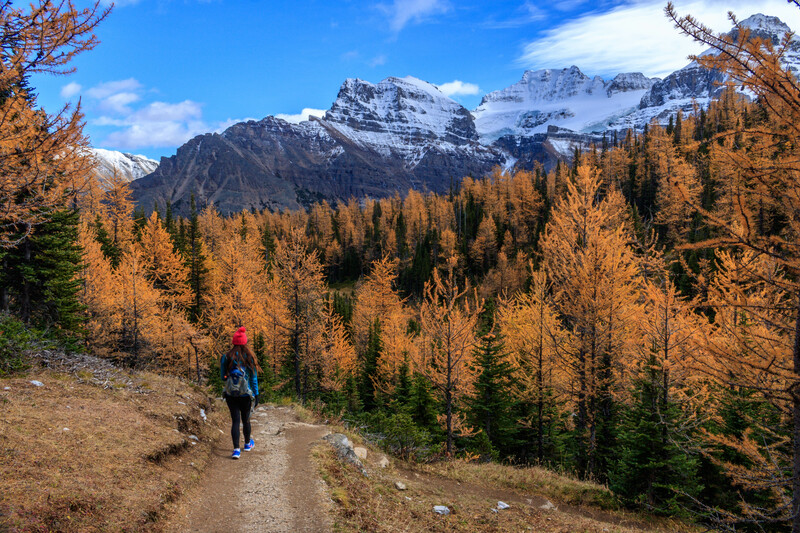 Read more about our favourite Larch hikes in Yoho National Park. The stunning views from the Larch Valley trail.